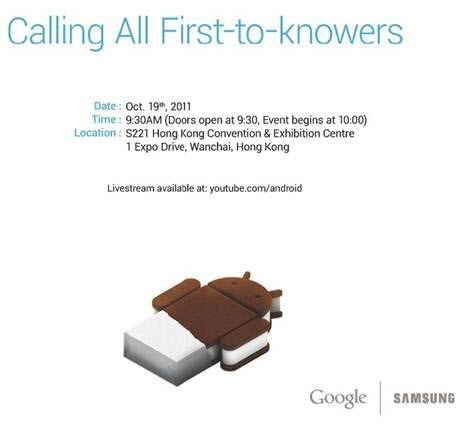 We can finally stop guessing when Ice Cream Sandwich will be revealed to the world in all its glory as Google and Samsung just announced the event would be happening in Hong Kong, October 19th at 10 a.m. HKT, which corresponds to 10 p.m. October 18th EST. As before, the live stream will be available at https://www.youtube.com/Android. And to that we say, "Bring it!"